when we’re all showing up online for hours each day, it can be hard to see past the power of online branding + marketing yourself and your business. but that’s just the tip of the iceberg! often, these online interactions and conversations lead to networking, meetings, and IRL relationships. you don’t want to show up empty-handed! i want to tell you about a little place called basic invite. 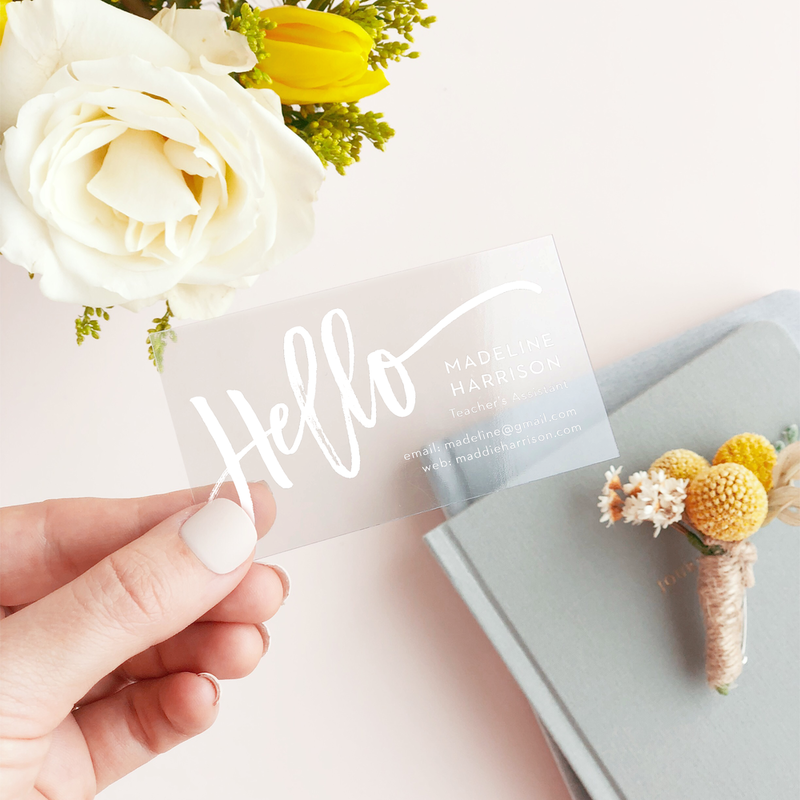 their modern business cards are changing the networking game in 2019. whether you’re a small business owner, blogger, recent college grad, or something entirely different, you need something tangible to leave behind when you’re running around town meeting movers and shakers. they’re one of the few websites that allows customers almost unlimited color options with instant previews online. once you select a design, you can change the color of each element on your custom made business cards to over 180 different color options so you can make sure the card is exactly how you want it — down to the littlest detail. you can order a printed sample of your actual piece so they can see exactly how it will print as well as the paper quality before you ever have to place your final order. if you’re printing something bigger, like invitations, you can choose from over 40 different envelope colors so you can make your invitation stand out even before it’s opened. also, all of basic invite’s envelopes are “peel-and-seal” so the envelopes can be quickly and securely closed. basic invite offers an address capturing service that allows customers to simply share a link on Facebook, Twitter, Instagram, or any other form of social media to request their friends and family’s addresses which will be stored in the customer’s account and can then be selected during the design process. they also offer recipient address printing at no cost on all christmas card orders! foil cards are available in gold, silver, and rose gold. customers can choose flat or raised foil on all of basic invite’s foil designs. Right now Basic Invite is offering 15% off with coupon code: 15FF51. Use this code when you create your own personal business cards! happy designing! this post was sponsored by basic invite. i will never feature a business or product i don’t already know and love.